Terrapattern is a “similar-image search” for satellite photos developed at the Frank-Ratchye STUDIO for Creative Inquiry and launched, in alpha version, in May 2016. Terrapattern is an open-source tool for discovering “patterns of interest” in unlabeled satellite imagery—a prototype for exploring the unmapped, and the unmappable. Terrapattern provides an open-ended interface for visual query-by-example. Simply click an interesting spot on Terrapattern’s map, and it will find other locations that look similar. This tool is ideal for locating specialized ‘nonbuilding structures’ and other forms of soft infrastructure that aren’t usually indicated on maps. There has never been a more exciting time to observe human activity and understand the patterns of humanity’s impact on the world. The Terrapattern team aim to help people discover such patterns in satellite imagery, with the help of deep learning machine vision techniques. Terrapattern is ideal for discovering, locating and labeling typologies that aren’t customarily indicated on maps. These might include ephemeral or temporally-contingent features (such as vehicles or construction sites), or the sorts of banal infrastructure (like fracking wells or smokestacks) that only appear on specialist blueprints, if they appear at all. In this section, the Terrapattern team share some discoveries of their own, made with the Terrapattern system. It is important to point out that the Terrapattern system was not trained on any of the categories shown below, but instead recognizes them because of their common visual features. It has been predicted that, within the next three years, access to daily-updated, whole-earth satellite imagery with sub-meter resolution will become widely available online. There will be many important stories about natural and human activities latent in this data. Without special effort, however, it is doubtful that this imagery will have annotation layers that make such stories discoverable. In light of this, the Terrapattern prototype is intended to demonstrate a workflow by which users—such as journalists, citizen scientists, humanitarian agencies, social justice activists, archaeologists, urban planners, and other researchers—can easily search for visually consistent “patterns of interest”. The Terrapattern team are particularly keen to help people identify, characterize and track indicators which have not been detected or measured previously, and which have sociological, humanitarian, scientific, or cultural significance. Their goal is to provide a geospatial software tool that makes it easy for everyday people, who may lack expertise in machine vision, to specify the thing that they are interested in; to automatically find more examples of that thing; and to provide the locations of those instances in a common data format that easily allows for further examination. Terrapattern is a “panoptic perceptron” that allows a user to perform arbitrary queries-by-example in satellite imagery. A guest clicks on a “feature of interest” in a satellite image; the Terrapattern system presents a batch of the most similar-looking places nearby; and the guest can then download a list of these locations in GeoJSON format. For the Terrapattern team’s purposes, “interesting” features are anthropogenic or natural phenomena that are not only socially or scientifically meaningful, but also visually distinctive—thus lending themselves ideally to machine recognition. Examples could include things like animal herds, methane blowholes, factories, destroyed homes, or logging roads. Many other patterns await discovery. And that it is possible to create software tools which make such workflows easy and reliable, for researchers whose teams might otherwise lack expertise in computer vision and machine learning. The Terrapattern team emphasize that Terrapattern is a limited prototype. As of May 2016, it allows users to search in the greater metropolitan regions of three American cities: New York City, San Francisco, and Pittsburgh (Allegheny County). Altogether more than 2,200 square miles (5700 km²) are fully searchable. Allowing high-resolution searches in an area the size of the United States (e.g. ~3.8M mi² or 9.9M km²) is technically and financially beyond the scope of our project at the current time. The Terrapattern project seeks to democratize geospatial intelligence. By providing a means by which researchers, journalists, citizen scientists, and artists can quickly and easily scan extremely large geographical areas for specific visual features, our hope is that the public at large will gain the ability to research and answer questions about our world that are otherwise unknowable. Access to satellite imagery, especially as it can be interpreted through the lens of machine intelligence, is currently controlled by a select few: state-level actors and (increasingly) multinational businesses. Once the exclusive domain of top-secret military surveillance, high-resolution satellite imagery has recently become heavily corporatized. At the forefront of this shift are companies like Orbital Insight, Remote Sensing Metrics and Genscape, which apply machine learning algorithms to satellite imagery in order to sell “actionable intelligence” to hedge funds and other market speculators. For example, in their “US Retail Traffic Index“, RS Metrics monitors the number of cars in retail parking lots, in order to estimate the quarterly performance of big-box stores before those results have been released. Similarly, Orbital Insight’s “World Oil Storage Index” consists of daily estimates of the amount of oil held in 20,000 storage tanks—intelligence derived from the size of shadows on the interiors of tanks with floating lids. With enormous amounts of money to be made in the trade of such information products, this type of understanding about the forces shaping our world remains very far from being a public good. The Terrapattern team wondered what it would be like to provide an “Orbital Insight for the rest of humanity”: a tool that could help those who are concerned about or interested in the world—whether through environmental studies, journalism, humanitarian efforts, social sciences, natural sciences, or artistic inquiry—obtain geospatial understanding of the kind only previously available to a select few. In this section, the team highlight a few projects by others which they consider powerfully inspirational illustrations of this: the democratization of machine intelligence for satellite imagery. At the forefront of environmental efforts is the non-profit organization, Monitoring of the Andean Amazon Project (MAAP), which uses satellite imagery and computer vision to analyze the Amazonian rainforest. In some of their best-known work, supported through the Planet Labs Ambassadors Program, MAAP has successfully detected illegal gold mines, as well as illegal logging roads, which are key precursors to deforestation. Other environmental initiatives have used related techniques to, for example, bust illegal fishing operations. At the Harvard Humanitarian Initative’s “Signal Program on Human Security and Technology”, a series of influential projects directed by Nathaniel Raymond has used satellite imaging to investigate war crimes, genocides, and other atrocities. Raymond is among the most outspoken advocates for the use of geospatial intelligence by human rights groups and other non-governmental organizations (NGOs). In one project, Raymond and his team used machine learning techniques to automatically identify Sudanese straw-hut dwellings, known as tukuls, in satellite imagery. Their team’s tukul-detector was able to successfully distinguish intact tukuls from ones which had been razed—an excellent proxy for detecting mass killings, in a part of the world where on-the-ground journalism is exceptionally risky. In another humanitarian project, data scientists from DataKind.org collaborated with members of GiveDirectly, an NGO which gives microgrants to impoverished people in developing nations. In order to know where to focus their efforts, the team developed software to analyze the ratio of straw roofs to metal roofs in each of the districts of a Central African country. This ratio proved to be a good proxy for estimating the relative wealth of each of the districts, for a country otherwise lacking in census data of this sort. The combination of satellite imaging and machine vision has also had a major impact on our ability to track animal populations. For example, one team of scientists were able to track Antarctic penguin populations—and take measurements of their diets—by observing their poo from space. Another team of scientists was able to locate and count families of Southern Right Whales. The telescopic perspective of satellite imagery has enormous potential to provide scientific insights that could not be obtained otherwise. For example, “space archaeologist” Dr. Sarah Parcak, a professor at the University of Alabama at Birmingham, has used remote sensing technologies, image processing and computer vision in order to discover ancient Egyptian pyramids and even a previously unknown site of Viking activity in North America. In another fascinating discovery, Dr. Sabine Begall, a professor of Zoology at the University of Duisburg-Essen, has discovered that ruminants have a previously undiscovered geomagnetic sense—essentially, that grazing cows align themselves with the earth’s magnetic field. Other interesting artworks in this space include The Big Atlas of LA Pools (also by Groß & Lee), Onformative Design’s Google Faces, and Joshua Begley’s stunningPrison Map. In many of the examples discussed above, researchers developed bespoke visual detectors that were tightly tuned and customized for specific problems. The techniques used in Terrapattern portend a new form of highly generalized detector which can be used in searches by relative laypersons. In this new workflow, it is only important that the patterns of interest are visually consistent enough for algorithmic detection and analysis. There are a number of burgeoning, visually consistent, and in many cases worrisome phenomena which future versions of Terrapattern could be useful in tracking. These include Concentrated Animal Feeding Operations, or CAFOs; uranium mill tailings deposits; “Gamma Gardens” (also called radiation farms) for mutation breeding; Siberian methane blowholes, which are arising due to global warming; and megafauna poaching. The Terrapattern project is only a prototype—especially in its scale—and the Terrapattern team feel they have only scratched the surface of what is possible. Terrapattern uses a deep convolutional neural network (DCNN), based on the ResNet (“Residual Network”) architecture developed by Kaiming He et al. The team trained a 34-layer DCNN using hundreds of thousands of satellite images labeled in OpenStreetMap, teaching the neural network to predict the category of a place from a satellite photo. In the process, our network learned which high-level visual features (and combinations of those features) are important for the classification of satellite imagery. It has been pointed out that many machine-learning breakthroughs are constrained, not by the limitations of algorithms, but by the availability of high-quality training datasets. The Terrapattern project illustrates this situation well. When the Terrapattern team began the project, they expected that they could find a pre-existing DCNN model for satellite imagery, such as those hosted at the Caffe Model Zoo. They settled in for a much longer haul when they realized they would have to train their own. To that end, Terrapattern was only possible due to the astonishing crowdsourced mapping effort of the OpenStreetMap project, which has generously categorized large parts of the world with its Nominatim taxonomy. The team trained their DCNN using 466 of the Nominatim categories (such as “airport”, “marsh”, “gas station”, “prison”, “monument”, “church”, etc. ), with approximately 1000 satellite images per category. The resulting model, which took 5 days to compute on an nVidia 980 GPU, has a top-5 error rate of 25.4%. After training the model, the team removed the final classification layer of the network and extracted the next-to-last layer of the DCNN. Using this layer of proto-features (a technique called “transfer learning“), they computed descriptions for millions more satellite photos that cover the metropolitan regions of New York, San Francisco, and Pittsburgh. When they want to discover places that look similar to your query, they just have to find places whose descriptions are similar to those of the tile you selected. To perform this search in near real time, we use the CoverTree algorithm for K-Nearest Neighbors. For more technical information on Terrapattern, including the open-source code, models and datasets, please see this list of technical references and our Github repository. Terrapattern was created by Golan Levin, David Newbury, and Kyle McDonald with the assistance of Irene Alvarado, Aman Tiwari, and Manzil Zaheer. The project was developed at the CMU Frank-Ratchye STUDIO for Creative Inquiry with support from the John S. and James L. Knight Foundation. Golan Levin (@golan), Terrapattern Project Director, is Associate Professor of Computation Arts at Carnegie Mellon University, where he also holds courtesy appointments in Computer Science, Entertainment Technology, Architecture, and Design. Since 2009 he has served as Director of the Frank-Ratchye STUDIO for Creative Inquiry, a laboratory for atypical and anti-disciplinary research across the arts, science, technology and culture. A two-time TED speaker and recipient of undergraduate and graduate degrees from the MIT Media Laboratory, Golan was recently named one of “50 Designers Shaping the Future” byFast Company. 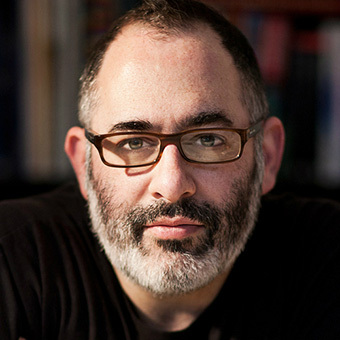 Through digital artifacts, online tools, and virtual environments, often created with a variety of collaborators, Levin applies creative twists to digital technologies that highlight our relationship with machines, reveal hidden aspects of communication, and explore new intersections of machine code and visual culture. David Newbury (@workergnome) runs a small design practice, Workergnome Studios, focusing on unusual development projects. He has over 15 years of experience working on data-driven projects for universities, libraries, and museums, as well as on large-scale interactive installations. He currently leads development on the Art Tracks project for the Carnegie Museum of Art, and has previously worked with the Smithsonian, Carnegie Mellon University, the University of Victoria, and PBS. David is also an Emmy-award winning filmmaker, creative developer, and animator whose work has received national coverage in Wired, Vice, Cosmo, and other publications. He runs the Pittsburgh New Media Arts organization, taught Interactive Design at the University of Illinois, and regularly gives workshops on data visualization and technology use in artistic practice. 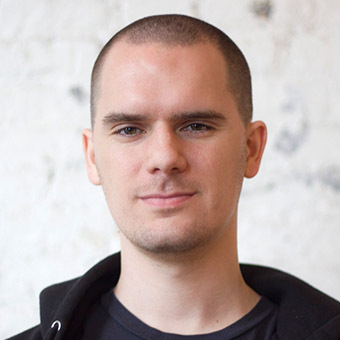 Kyle McDonald (@kcimc) is an artist who works in the open with code. He is a contributor to arts-engineering toolkits like openFrameworks, and spends a significant amount of time building tools that allow artists to use new algorithms in creative ways. He enjoys creatively subverting networked communication and computation, exploring glitch and embedded biases, and extending these concepts to the reversal of everything from personal identity to work habits. 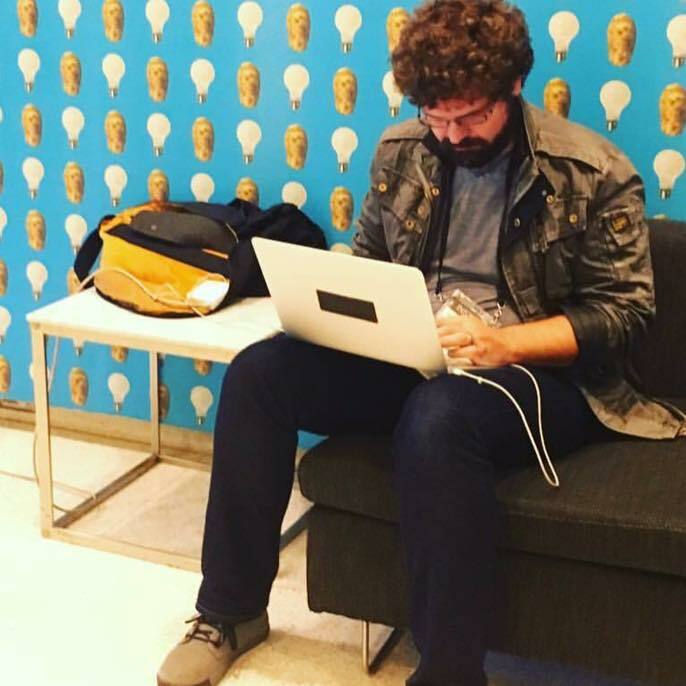 Kyle is an adjunct professor at NYU’s ITP, and was formerly a member of F.A.T. Lab, community manager for openFrameworks, and artist in residence at the Frank-Ratchye STUDIO for Creative Inquiry at Carnegie Mellon. He frequently leads workshops exploring computer vision and interaction. 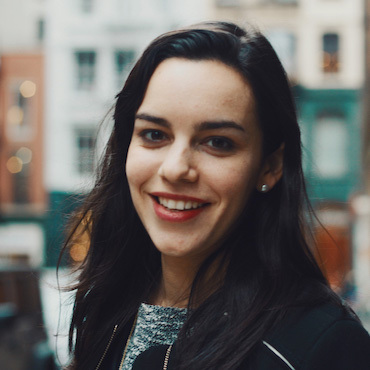 Irene Alvarado (@ire_alva) is a designer and creative coder based in Pittsburgh and NYC. Originally from Caracas, Venezuela, she graduated from Columbia University with a dual degree in history and computer science, and after college joined a small passionate team at a tech think tank helping some of the world’s largest companies develop technology strategies. Irene is presently working towards a Master of Science in Emerging Media and Human Computer Interaction at Carnegie Mellon University. She uses a combination of technical expertise and design thinking to investigate the digital threads that connect computation, visualization, and storytelling. Aman Tiwari (@aman_gif) is an undergraduate at Carnegie Mellon University, studying towards a hybrid degree in Computer Science and Art. 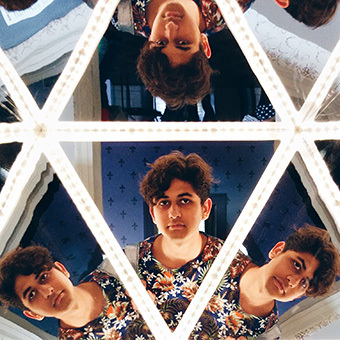 Aman writes, “I care about new media art and how it interacts with the world. I care about how the world is directed by what we do. I care about how tech changes and is changed by the world. I care about the internet. I believe in technology giving us the power to think unthinkable thoughts. I care about making. I care about consuming.” In summer 2016, Aman will be an intern at Google, assisting research on image processing and machine learning. Manzil Zaheer is a doctoral student in the Machine Learning Department at Carnegie Mellon University. 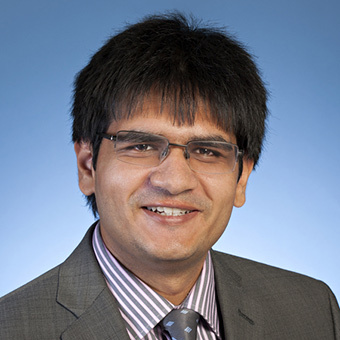 His research is concerned with harnessing theoretical techniques from varied disciplines to solve practical problems; he particularly enjoys finding simple ways to implement statistical inference and data-parallel programming algorithms. Currently Manzil is studying nonparametric Bayesian methods, scalable machine learning, fast sampling techniques, random graph generative models and applications of machine learning to VLSI CAD. Terrapattern by Golan Levin, David Newbury, Kyle McDonald et al. is licensed under a Creative Commons Attribution-ShareAlike 4.0 International License. The Terrapattern code and associated datasets are available under the MIT License. Permissions beyond the scope of this license may be available at terrapattern.com. The map data used in this project is ©2015 Google and its data providers. Developed at the Frank-Ratchye STUDIO for Creative Inquiry at Carnegie Mellon University. Terrapattern was made possible through a Media Innovation Prototype Fund grant from the John S. and James L. Knight Foundation, which supports transformational ideas that promote quality journalism, advance media innovation, engage communities and foster the arts. The Knight Foundation believes that democracy thrives when people and communities are informed and engaged.